The variety of progressive music, rock or metal, is probably one of the single best reasons fans like it, keep coming back to it, and keep searching looking for new bands. 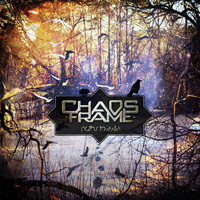 Though Paths To Exile is there second album, Minnesota's Chaos Frame is new to me and, if you're a fan of progressive metal, you might want to take some interest. After a spin or three, I've found myself both scratching my head in some confusion and listening with peculiar interest. As to the former, with every song there's a density of musical ideas, something that blurs the line between determined structure and mild chaos. 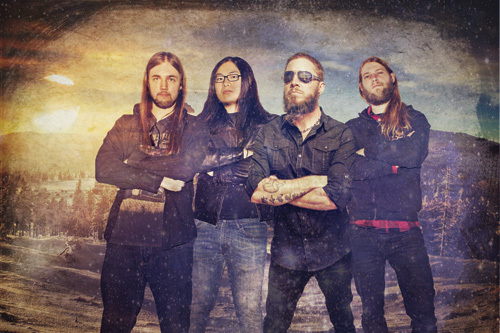 Chaos Frame intentionally blends speed, thrash, and power metal centered around twin guitar parts, yet still tries hold it together with traditional melodic metal. Thrash may have the upper hand here. In a song like Paths To Exile it seems incidental and brief in the latter third, within The World Had Two Faces, in several place flaring like sun spikes. Then with Doomed, Terra Firma and Derceto it's the signature element, along with drumming that goes from moderation to blasts to simple staccato. If that's not enough, within Terra Firma, about the latter third, you get this wind down where the guitars give a symphonic feeling. The song essentially bows out more quietly, finishing entirely different than it started. Then with Derceto, within the monstrous thrashing about, some fool is growling out death vocals. Alternatively, Chaos Frame can bump up the melody, even tapping into some catchy melodic metal accessibility. Painful Lesson is a song that has some real melody, true guitar harmony at the very start, but for the rest of the songs seems spin and weave like a boxer against strong riffs and drums. Paper Sun is another tune with plenty of intensity, that thrash metal mucking about, but has this truly catchy melodic refrain. The lyrics are rather nonsensical, but the chorus sounds cool. Then near the end, before the thrilling guitar solo (there's lots of those, too), there's something that sure sounds like a saxophone. Believe me, if you're paying attention, you'll find something different in every song. In this sense, thanks to the intensity, complexity, breathless musicianship, Paths To Exile, by definition, is probably the progressive metal geeks best scenario, a stiff woody wrapped up in a wet a dream. Ouch. That's a metaphor not necessarily worth repeating or giving a second thought. Whether I would go for another spin of this album is an entirely different question. Thanks to the intensity, complexity, breathless musicianship, Chaos Frame's Paths To Exile, by definition, is probably the progressive metal geeks best scenario, a stiff woody wrapped up in a wet a dream.